Such is the common if misguided popular stereotype. But even the better informed are often unaware of the longer historical trajectories of violence in Rwanda and the broader Great Lakes region. Although the 1994 genocide in Rwanda has garnered the most scholarly and popular attention–and rightfully so–it did not emerge out of a vacuum. As the world commemorates the 20th anniversary of the genocide, it is important to locate this epochal humanitarian tragedy within a broader historical and regional perspective. Northwestern Rwanda by CIAT. CC BY-SA 2.0 via Flickr. First, explicitly “ethnic” violence has a relatively recent history in Rwanda. Although precolonial Rwanda was by no means a utopian paradise, the worst political violence occurred in the midst of intra-elite dynastic struggles, such as the one that followed the death of Rwanda’s famous Mwami Rwabugiri in 1895. Even after the hardening of Hutu and Tutsi identities under the influence of German and Belgian colonial rule, there was no explicit Hutu-Tutsi violence throughout the first half of the 20th century. This all changed in the late 1950s. As prospects for decolonization advanced, Hutu elites began to mobilize the Rwandan masses on the grounds of “Hutu” identity; Tutsi elites in turn encouraged a nationalist, pan-ethnic paradigm. The latter vision may have carried the day save for the sudden July 1959 death of Rwanda’s long-serving king, Mwami Mutara Rudahigwa. Mutara’s death opened up a political vacuum, emboldening extremists on all sides. After an escalating series of incidents in October 1959, a much larger wave of ethnic violence broke out in November 1959. Hutu mobs burned Tutsi homes across northern Rwanda, killing hundreds and forcing thousands from their homes. Scores of Hutu political leaders were killed in retaliatory attacks. Even here, however, motivations could be more complicated than an ethnic zero-sum game. For example, many Hutu militia leaders later claimed that they were defending Rwanda’s Tutsi king, Mwami Kigeli V, from a cabal of Tutsi chiefs. In other cases Hutu and Tutsi self-defense forces collaborated to defend their communities. Rwanda’s “ethnic syndrome” spread to neighboring Burundi during the 1960s. After a failed Hutu coup d’état in April-May 1972, Burundi’s Tutsi-dominated military launched a fierce repression known locally as the “ikiza” (“curse”). Over 200,000 mostly educated Hutu were killed that summer. In Rwanda, anti-Tutsi violence broke out in February 1973. Although the number of deaths was much lower than in 1963-64, hundreds of Tutsi elites were driven into exile as pogroms broke out at Rwanda’s national university, several Catholic seminaries, and a multitude of secondary schools and parishes. Rwanda and Burundi were both dominated by one-party military dictatorships during the 1970s and 1980s. For some years each regime paid lip service to a pan-ethnic ideal. However, as economic and political conditions worsened in the late 1980s, ethnic violence flared again in 1988 in the northern Burundian provinces of Ntega and Marangara. In October 1990, the Tutsi-dominated Rwanda Patriotic Front invaded northern Rwanda, sparking a three-year civil war that profoundly destabilized Rwandan society. 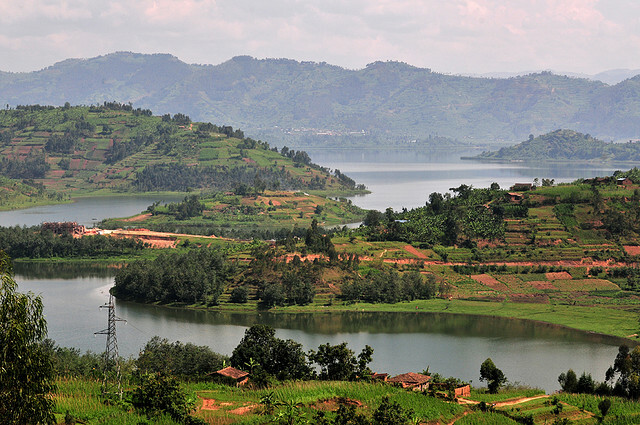 Following the pattern of the early 1960s, Hutu militias responded by targeting Tutsi civilians in six separate local massacres between October 1990 and February 1994. In turn, the October 1993 assassination of Melchior Ndadaye, Burundi’s first Hutu Prime Minister, sparked a massive outbreak of ethnic violence and civil war in Burundi that would ultimately take the lives of over half a million. In turn, one should not forget the post-1994 violence that continued to plague the region. Not only did Rwanda suffer more massacres (some directed at Hutu) between 1995 and 1998, but Burundi’s civil war continued until 2006. Perhaps worst of all, Eastern Congo after 1996 became the epicenter of what many scholars have dubbed “Africa’s World War.” The precipitous cause of the conflict was Rwanda’s invasion of Congo in October 1996, ostensibly to clear Hutu refugee camps that were serving as staging grounds for cross-border raids into Rwanda. Upwards of four million Congolese died from war-related causes over the next six years. Over a decade later, Rwandan-backed militias continue to dominate Congo’s Kivu provinces. The “afterlife” of the Rwanda genocide thus continues even in 2014. The 1994 genocide took the lives of an estimated 800,000 Rwandans, the vast majority of them Tutsi. This genocide–and the world’s utter abandonment of the Rwandan people–should never be forgotten. But nor should we overlook the political and ethnic violence that preceded and followed the genocide, whether in Rwanda, Burundi, or the Democratic Republic of the Congo. One can only hope that the next 20 years will be kinder to a region that has suffered so much over the past generation. 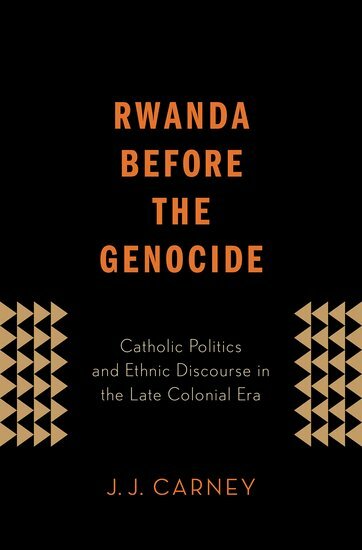 Find out more – read a further article by J. J. Carney on his book Rwanda Before the Genocide, including free access to “Contested Categories,” a chapter on Hutu and Tutsi categories. J. J. Carney is Assistant Professor of Theology at Creighton University, Omaha, Nebraska. His research and teaching interests engage the theological and historical dimensions of the Catholic experience in modern Africa. He has published articles in African Ecclesial Review, Modern Theology, Journal of Religion in Africa, and Studies in World Christianity. He is author of Rwanda Before the Genocide: Catholic Politics and Ethnic Discourse in the Late Colonial Era. I think the word wanted is “precipitant”. Melchior Ndadaye was Burundi’s first Hutu President, not Prime Minister. Also, regarding the “…northern Burundian provinces of Ntega and Marangara…”, this is likely a reference to the communes where the 1988 incidents occurred. In the 1994 war the massacres were mainly directed at Hutus. The Tutsi used a sneak-attack war method that left little to the imagination as to what exactly occured. I was among the few to have excaped and what i saw has had me in nightmares for over two decades. Just to put the records straight, in the 1994 war the massacres were not directed at Hutus, according to Mariana, but by the Hutus.